It is the goal of Toland-Herzig Funeral Homes to help people complete the relationship with the one who has died and to provide a climate that encourages each person to give and receive emotional support. During the funeral service, family and friends have the opportunity to relate to each other at the deepest levels and find mutual strength. Green burial is a way of caring for the dead with minimal environmental impact that furthers legitimate ecological aims such as the conservation of natural resources, reduction of carbon emissions, protection of worker health, and the restoration and/or preservation of habitat. We have earned distinction as an approved provider from the Green Burial Council. Traditionally, the funeral will be a Complete Funeral Service. This includes a family or public viewing of the deceased. 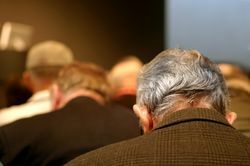 Following this will be a service, typically in the church or at the funeral home. This would be followed by the earth or above ground burial of the casketed remains. Caskets selected may cost from several hundred dollars to several thousands of dollars depending on the material the casket is constructed of. Many cemeteries require that a minimum grave liner be used to encase the casket when earth buried. These minimum liners are constructed of concrete and are designed to hold the weight of the earth, maintaining the cemetery property.An air-seal vault may also be used.These vaults are constructed of concrete or steel and are designed not only to protect the gravesite, but to protect the casket from the entrance of water and other elements. At Toland-Herzig Funeral Homes, we encourage families to create very personalized services. It is important to acknowledge that life that has been lived and to offer to the community a way in which to celebrate that life. 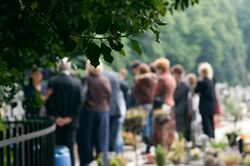 By offering services and memorialization features that are personal and special, a unique life can be remembered and honored in an individualized way that is comforting to the family and friends. For more information about our Professional Services, please contact us. We're here to help.